Hashimoto is located in Sagamihara city, which is in Kanagawa prefecture in Japan. Hashimoto is on a major train line, which allows for easy transportation to fun local spots. For those everyday necessities, there is the Nitori Shopping Mall in Sagamihara. Just a quick train ride away, you can buy everything from clothes and home goods to groceries! 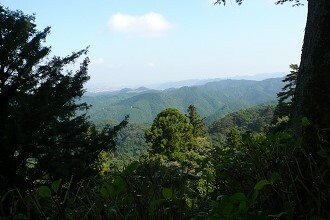 Hashimoto is also near the famous Mount Takao. This mountain stands at about 1900 feet and has eight different hiking courses. Mt. Takao attracts more than 2.5 million visitors annually, and is located within just one hour of downtown Tokyo. Due to its close proximity to Tokyo, Hashimoto and its neighboring communities have a variety of food to choose from. Restaurants with everything from authentic Japanese food to those with French influences can easily be found in and around Hashimoto. Training week was rather intense as far as gathering a lot of new information and putting it into practice immediately. it was also a great opportunity to bond with my training mates as we could all identify to being in a new country and experiencing a new way of life. What was your arrival in Japan like? My arrival to Japan was very easy, I was furnished with maps and meeting times, and did not have to worry about navigating trains by myself which made arriving to a new country very simple. How have you spent your vacation periods? I have done a lot of traveling since I came to Japan. Over my vacations I have gone to Okinawa, Kyoto, Osaka, Hiroshima, Kobe, Beijing and plan to travel to Guam and Thailand in the future. Having three week-long vacation periods provides a wonderful opportunity to travel around Japan and southeast Asia.